How was every one's love day yesterday? Hubs got me some 2 skeins of Madeline Tosh and a skein of Pigeonroof Studios yarn, for some socks *squee* pictures to follow I promise! The Scrap Vomit - Block B created by my new sis Katy! 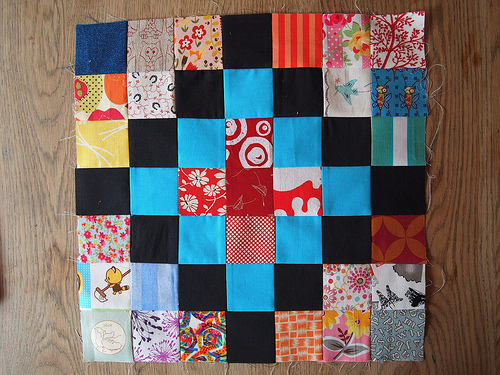 I sent the ladies some black and blue squares to use and I CAN'T wait to see what they come up with.